No frills mortgages offer borrowers lower rates due to the product's lack of extra features. What is a no frills mortgage? A no frills mortgage is the most basic type of home loan a borrower can obtain. It has very little flexibility, but it also offers lower interest rates than most other home loans. The terms and pre-payment options available with a no frills mortgage are minimal, which can be a disadvantage for borrowers looking for a home loan they can adjust to fit their needs over time. However, when it comes to fixed-rate mortgages, it's nearly impossible to beat the rates associated with no frills mortgages. Why a no frills mortgage? 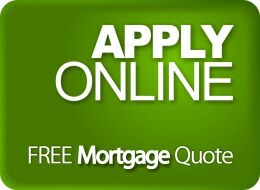 The greatest advantage of a no frills mortgage is the savings possible on interest rates. While the lack of flexibility regarding terms and pre-payment options can be frustrating, a no frills mortgage might be the best decision for a buyer seeking a first-time home buyer mortgage. If you plan on purchasing a starter home, or a property which you will upgrade from after a while, a no frills mortgage can be worth its lack of flexibility. Since you don't plan on keeping the home forever, you can take advantage of the low rates without having to worry about the loan's terms for too long. However, if you plan on staying in a home for an extended period of time, the lack of options with a no frills mortgage can be a disadvantage. It's hard to plan for how your financial future will unfold, and if a monetary emergency arises that requires a flexible home loan, a no frills mortgage might not be the best choice. How do I get a no frills mortgage? 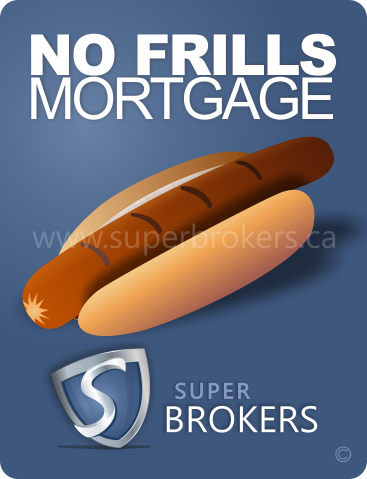 Contact Super Brokers to speak with a mortgage professional who can help you decide if a no frills mortgage suits your needs. Whether a no frills mortgage is the best choice for you depends on your plans for the future, and how important home loan features are to you. Keep in mind that the minimum down payment is 5 percent with a maximum amortization of 25 years.